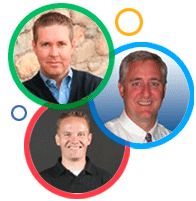 Yesterday's webinar, Google+ the Next Big Thing, presented by an all-star lineup of Paul Allen, Dan Lynch, and Mark Olsen, is now available to view in our webinar archives. They brilliantly explained how to use Google+, its implications for the genealogist, how hangouts work, and we even had an appearance by a couple of Google's executives. If you could not make it to the live event, the 2 hour recording of Google+ the Next Big Thing is now available to view in our webinar archives. Visit www.LegacyFamilyTree.com/webinars.asp to watch. It will be available there until at least August 25, 2011. Own your own copy of Google+ the Next Big Thing by purchasing the webinar-on-CD for just $9.95. It includes the recording of the class and the complete Q/A session. 2 hours. Click here for more information or to purchase. The special discount coupon of google that was announced during the webinar is valid for 10% off anything in our online store through Monday, August 22, 2011.